Three years ago my friend Chip Roy was in a bed at MD Anderson in Texas fighting cancer and undergoing chemo. He was constantly on my prayer list. Employed by Governor Perry, Chip had helped Perry write his book and struggled with the effects of his cancer treatment. From there, Chip went to work for Sen. Ted Cruz (R-TX)Heritage ActionScorecard Sen. Ted Cruz Senate Republican Average See Full Scorecard93%. I wrote at the time that this was the first indication that Cruz would be rock solid for us. His first major decision was a home run. And, in fact, for the last several years Cruz has been the leader of the conservative movement with Chip behind the scenes staffing the office with solid conservatives willing to stand their ground for principles and freedom. In my first hand experience with Senator Cruz’s office, Chip has been a solid anchor holding Senator Cruz’s office steady as the winds of the Establishment and media blow around and push. I worry a bit that without Chip there, the moorings may slowly loosen. But Chip left behind an office of solid conservatives and Paul Teller has been a solid replacement. A few weeks ago, Chip moved out of the office to focus on Senator Cruz’s outside endeavors and today comes word that Chip will be the number two guy in the Texas Attorney General’s Office. Cruz’s loss is Texas’s gain. I knew, despite the behind the scenes poop storm directed my way, that Ken Paxton was the best guy to support for Texas Attorney General. He’s a solid conservative. I was delighted he spoke at the RedState Gathering. He really is just a great and humble man. And like Ted Cruz, Paxton’s first major hire shows just how solid he will be. Taking Ted Cruz’s Chief of Staff to be his right hand in the fight between Texas and Washington is fantastic and I applaud him for doing it. This is a great day for Texas. I can’t help but also wonder about Chip’s future. 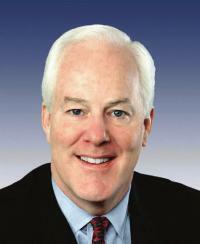 He worked for Sen. John Cornyn (R-TX)Heritage ActionScorecard Sen. John Cornyn Senate Republican Average See Full Scorecard79%, then as a Deputy US Attorney, then Rick Perry, then Ted Cruz, and now Ken Paxton. I may need to save some cash for a future Chip Roy candidacy. He certainly has the resume for it and the principles. 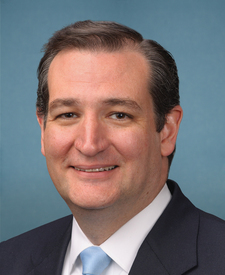 The post A Loss For Cruz and a Win For Texas appeared first on RedState.